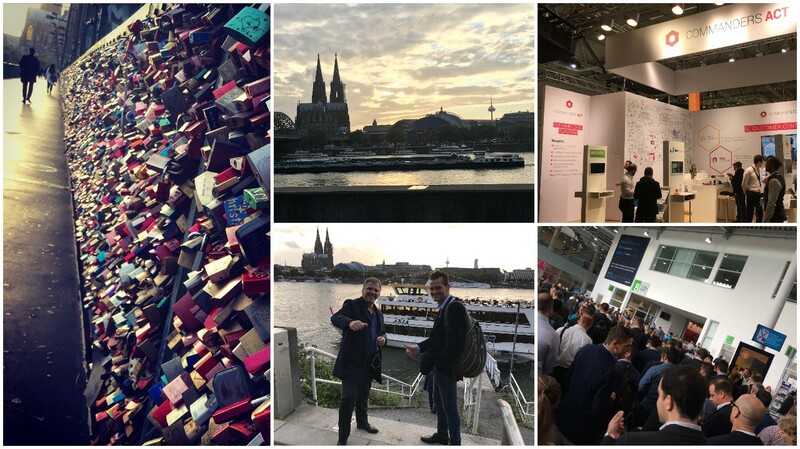 This year was the first time that ACTITO was physically present at DMEXCO. For those that don’t know what DMEXCO is, you can compare this to the Car Trade Show in Brussels but for Digital. You have insane boots of more than 30square meters, 50+ employees on each stand from hostesses, to sales, to marketing, to product people and of course top management. It’s amazing to see this, when you think that this industry didn’t exist a couple of years ago. You probably ask yourself why did ACTITO went to such a trade show, knowing the size and budget our competitors have invested in that show. The answer is simple. We wanted to feel the vibes. For a company at our stage with our vision, it’s important to see how the majors are doing. It helps us understand where we must invest, what we should focus on and what we shouldn’t do. This is part of the learning process to become a world wide actor. It is also an opportunity to meet partners in our eco-system. Partnering is a major focus for ACTITO and makes full part of our strategy to compete against the giants. Our mission is to provide to the marketers the best technological marketing automation solution (best of breed) with top quality integrated services at demand. The good thing about those potentials partners is that we were able to meet some of them, YES! And even better, they share our vision and want to help us and be part of our incredible journey. On top of this, we were also present on the boot of our friend and partner Commander ACT. Thank you for sharing a spot on your stand with us and being a partner from all those years. For me, it was so fine to be able to share some insightfull talks with European marketers that encounter the same problems and pains as what I know from Benelux and French market. It’s so exciting when you know you can help them and so frustrating at the same time, when you are in the growth process. You wish you were already present to break those walls between IT, Marketing and the customer’s expectation. So that was it for this article. Comments, sharing love, questions… is why I do this, so feel free to ping me back.